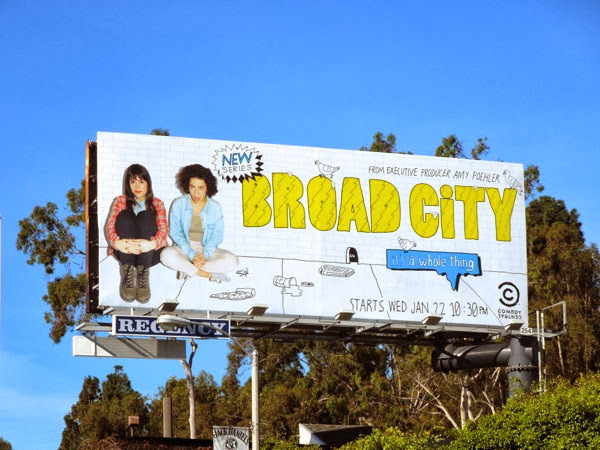 Abbi Jacobson and Ilana Glazer bring their funny web series, Broad City, about twenty-something life in New York City to a new show for Comedy Central. 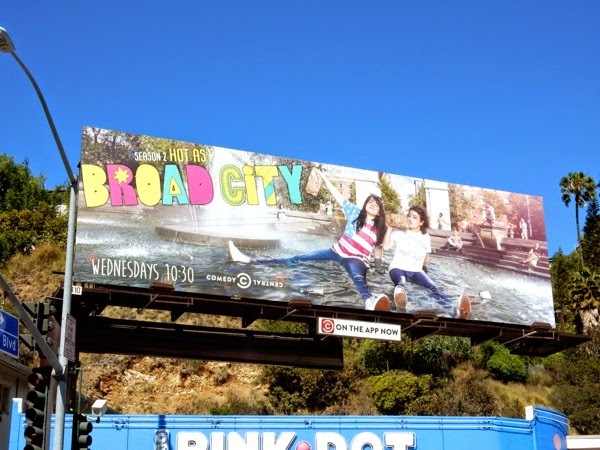 Navigating life in the Big Apple, like scraping enough money together for some cool concert tickets, may not be the only challenge thrown at these young 'broads', as their female misadventures will need to capture the imagination of the young male-oriented demographic of the comedy channel if they're to succeed. 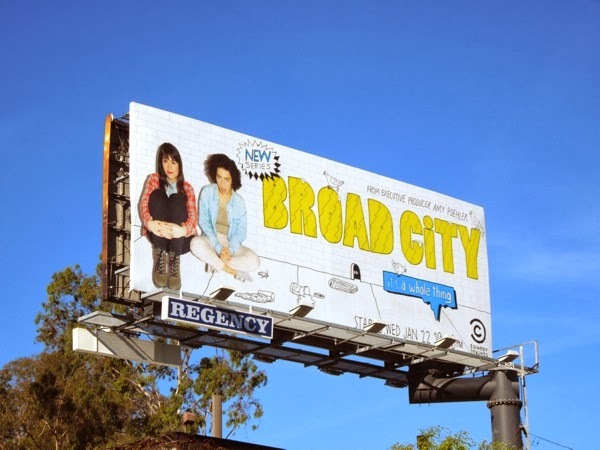 Fortunately when you have a big name like Amy Poehler on board as an executive producer you know this series is on the right track, and this duo a far more real and believable than the likes of 2 Broke Girls and probably far less neurotic than the cast of HBO's Girls too. 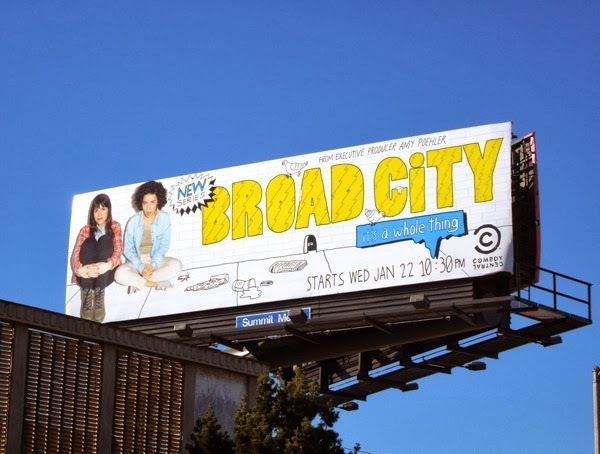 These Broad City series premiere billboards were snapped along L.A.'s Sunset Strip on January 2 and along Pico Boulevard on January 14, 2014. 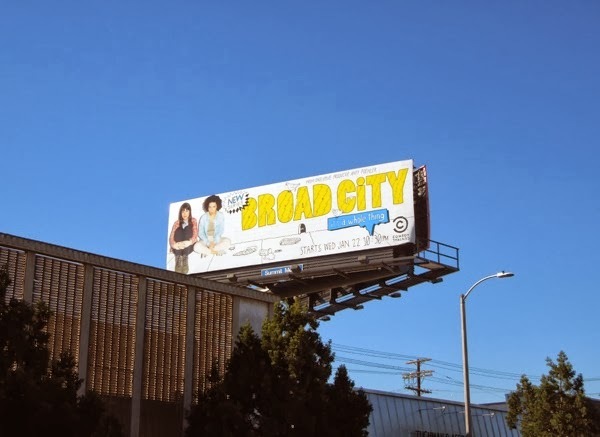 For more female-inspired laughs on Comedy Central, be sure to also check out these Inside Amy Schumer show billboards. 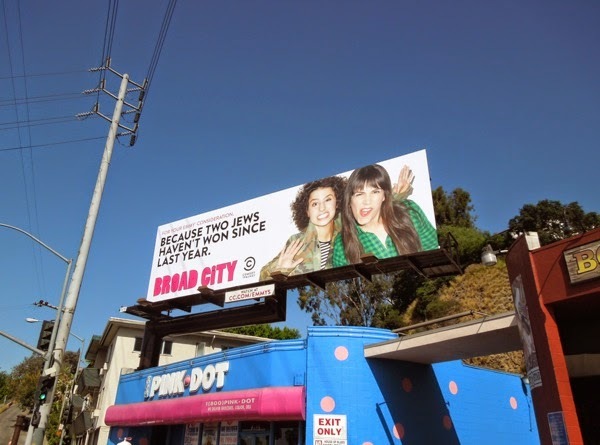 UPDATED: To support the rookie series, Comedy Central delivered this tongue-in-cheek Emmy Consideration billboard for the girls from Broad City. 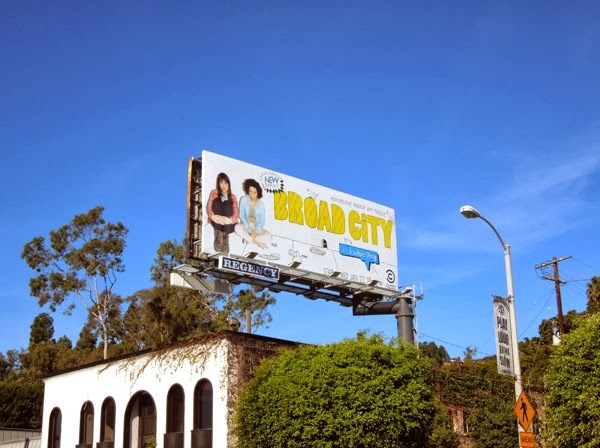 This fun 'Because two Jews haven't won since last year' ad creative was snapped along Sunset Boulevard in Comedy Central's regular billboard location on June 2, 2014. 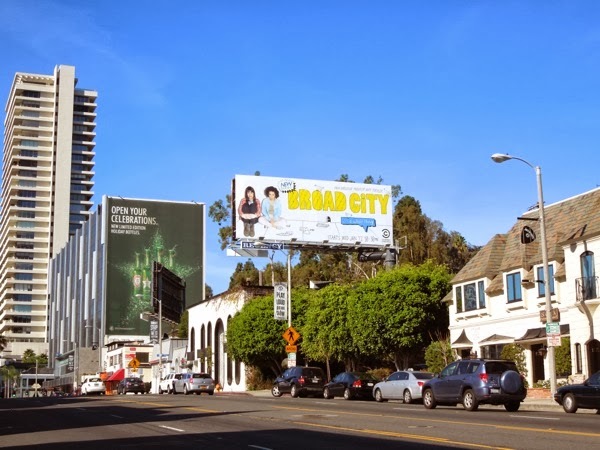 UPDATED: Here's also the second season billboard for Broad City with the girls getting up to trouble once again, snapped in the same ad location along the Sunset Strip on February 24, 2015. 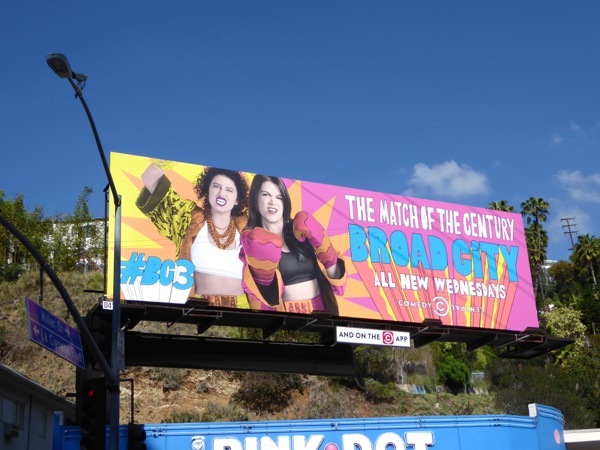 UPDATED: BFFs Abbi and Illana are back in all their messy glory in this season three billboard for Broad City. 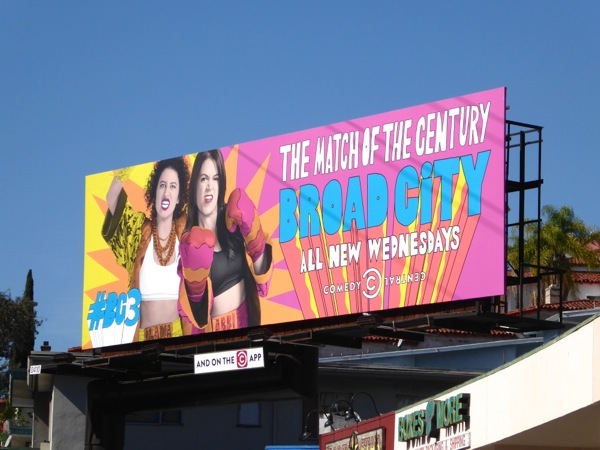 This New York-based comedy duo really are 'The match of the century' and this third season ad creative was snapped packing a punch along the Sunset Strip on February 19, 2016.